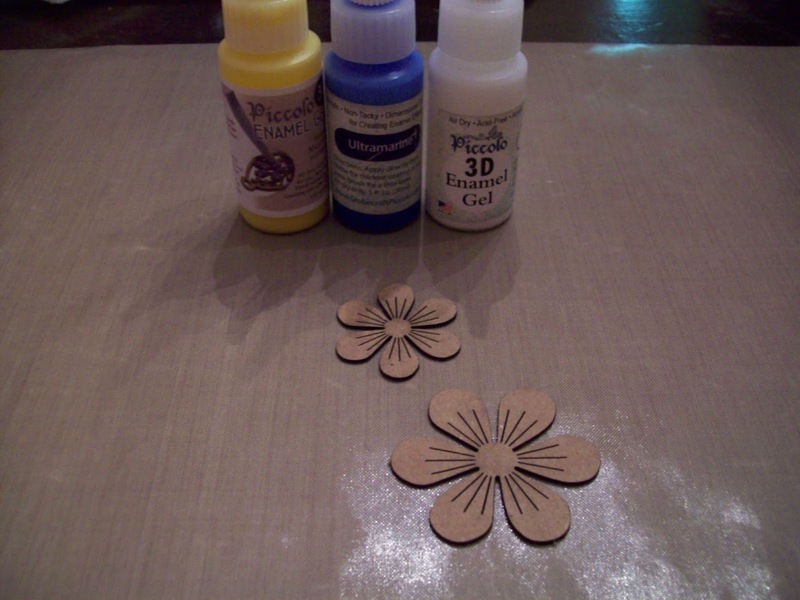 When I first saw the flower shapes from Globecraft and Piccolo, I knew what I wanted to accomplish. I made my daughter's wedding bouquet from vintage rhinestone brooches (all in silver and clear), but while researching the how to for that, I ran across several pictures like this. 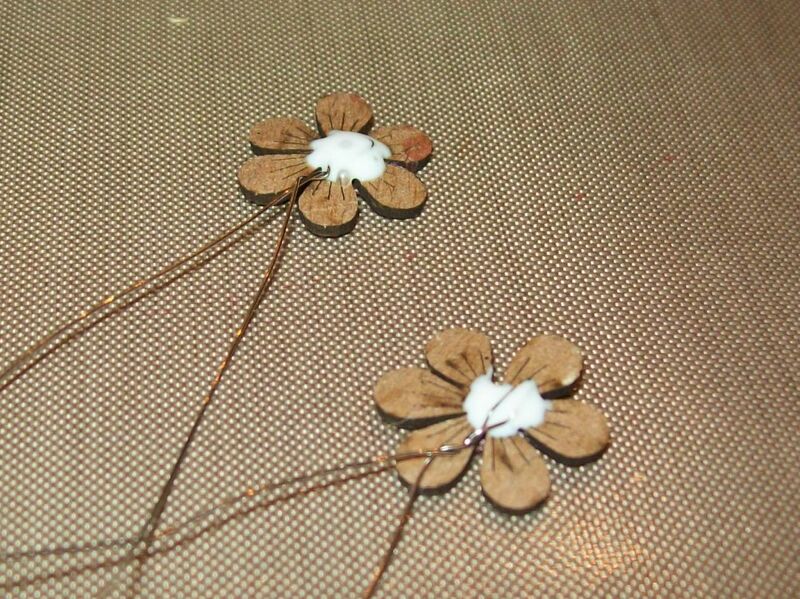 I could tell that the various shapes of the chipboard and both the powder and the 3d enamels will give us a way to duplicate the look easily. 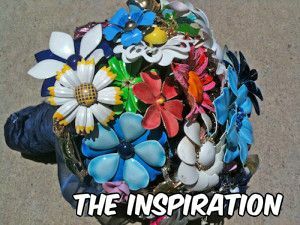 So for the next few posts I am going to show you how to create the elements to make your own vintage inspired brooch bouquet. Piccolos used in today's elements. 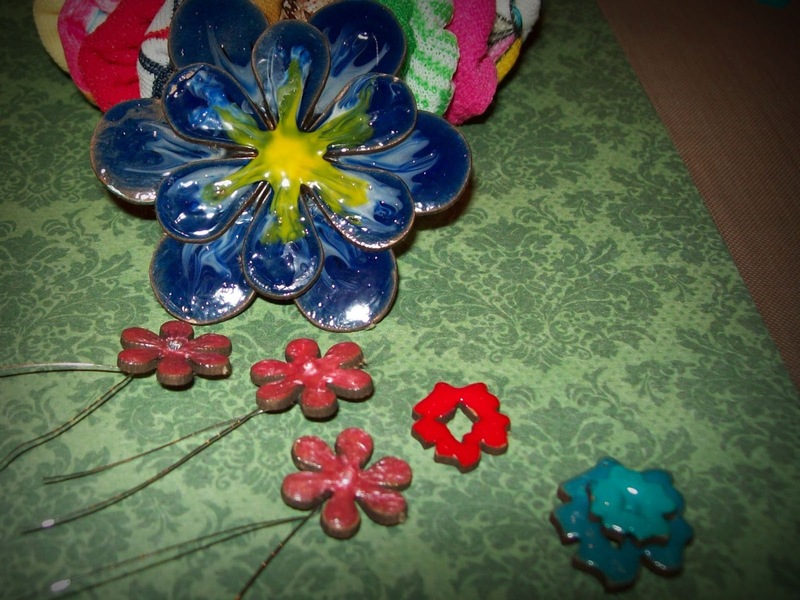 First - I gathered my goodies - and decided what 3D Gels to use for each element. 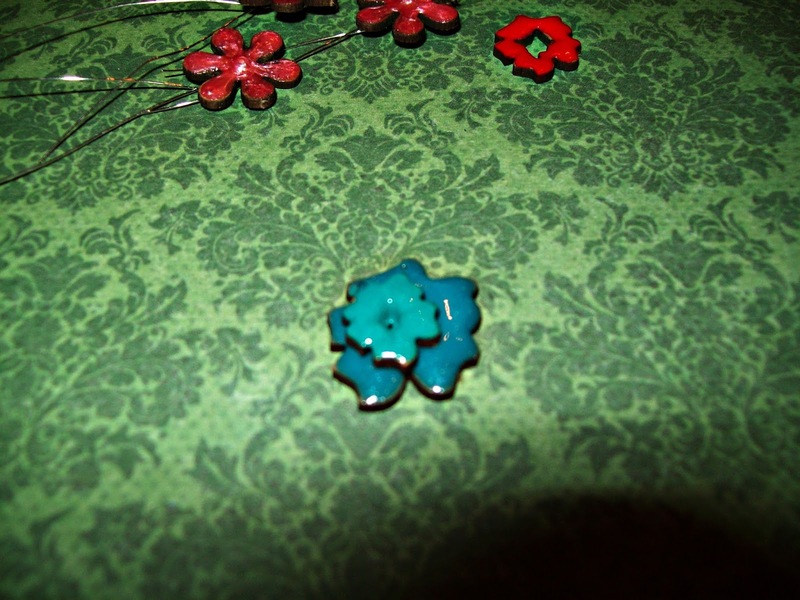 These blue and dark red bits are simply glazed with the Deep Red, Blue Green, and Satin Blue Pearl. After drying, I stacked them in pairs and glued them together. 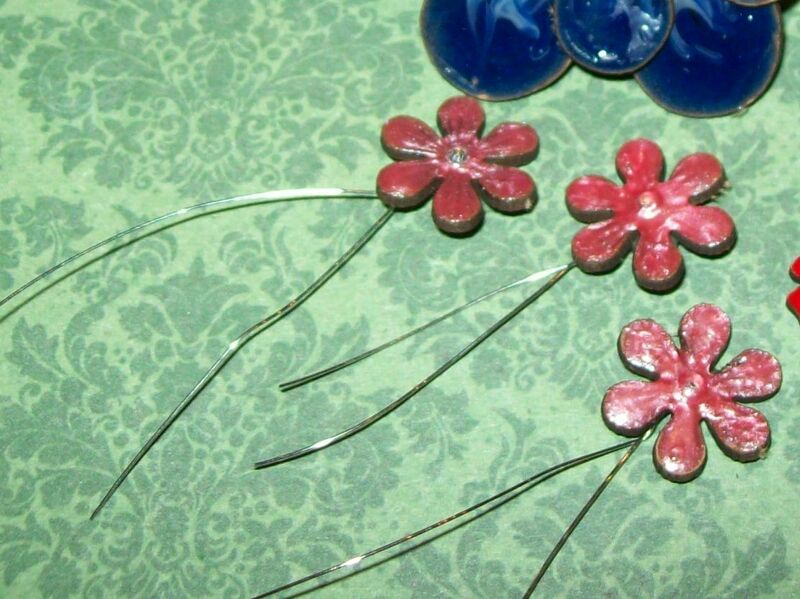 Then the tiny pink flowers with rhinestone centers - I made three of these to make a "spray" similar to this one . 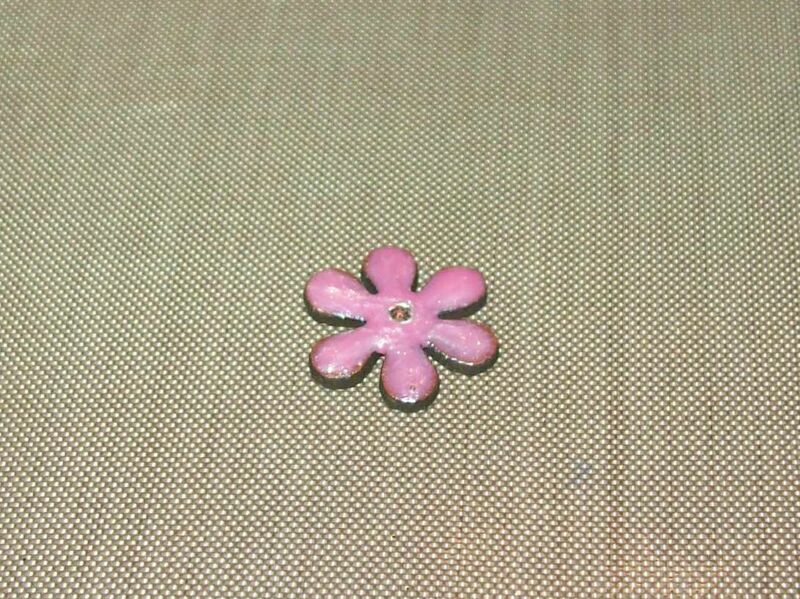 These are glazed with Coral Pearl. 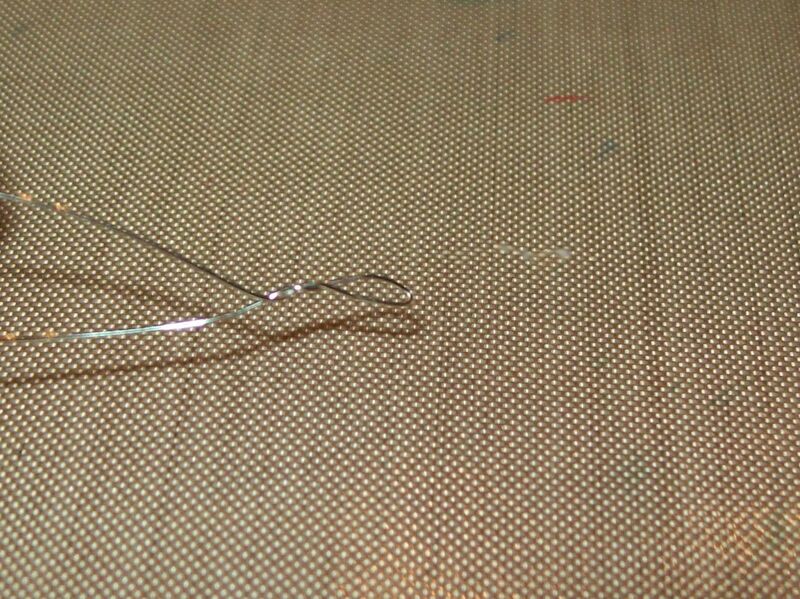 I added wire to these by twisting a tiny loop. Here are the three of these. Finished. Now for the most detailed of these - the blue stacked one. 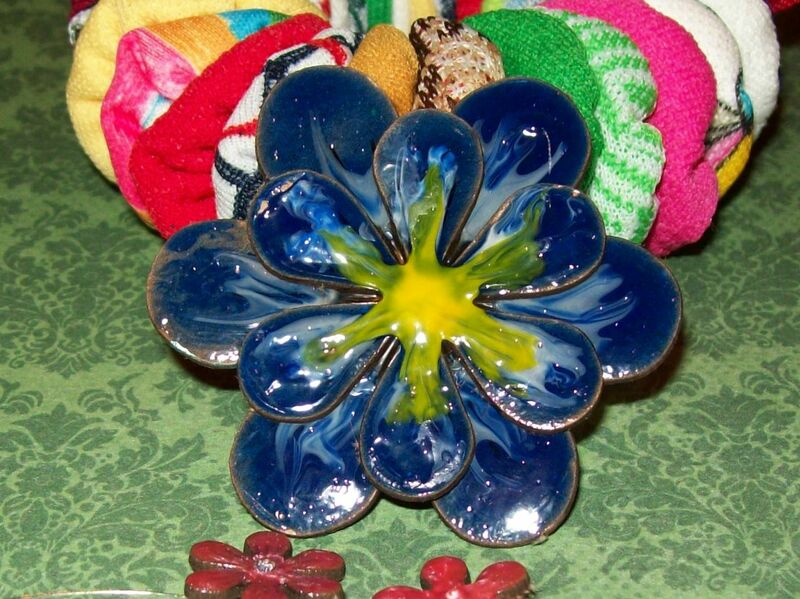 It uses one of the largest stacking flowers and the next smaller size. 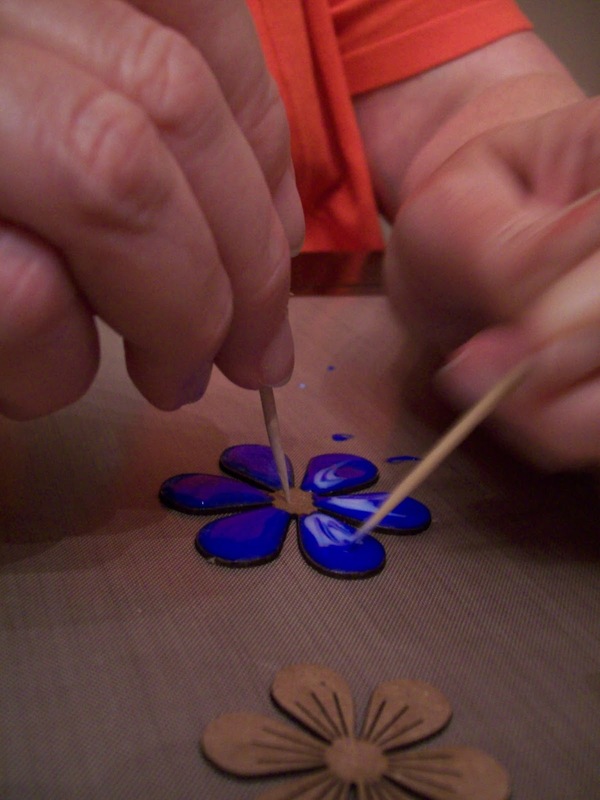 On the larger one, I glazed the petals (NOT the center) with the Ultramarine gel. While that is still wet, I added a drop of Titanium White gel and swirled with a toothpick. 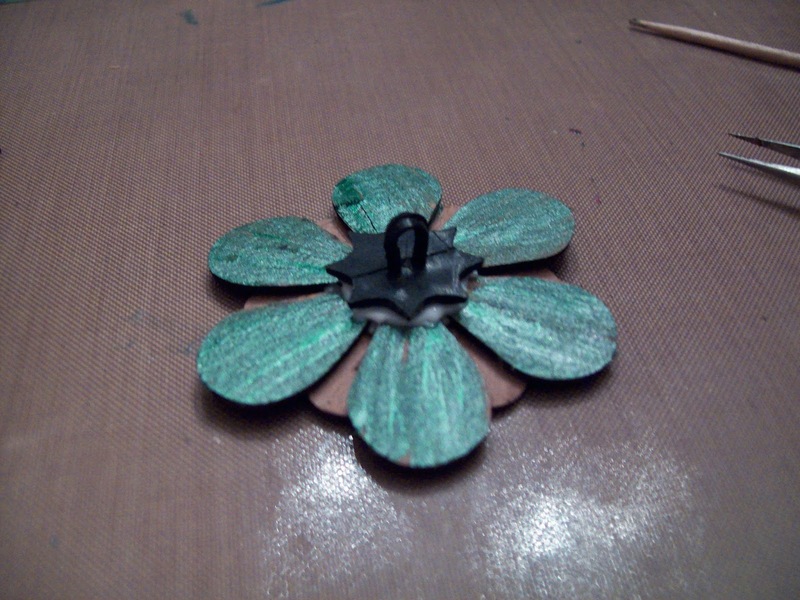 After this dried, I stacked the smaller one on the larger one - flipped it over and painted the petals with Smooch Ink (just in case they were to show) I added a plastic shank button to allow me to attach a wire to this for final assembly. Here is the finished element of that one. Now in case you are wondering - there will be more to come next week. I have used google images and pinterest for my searches for inspirations for color and assembly. I do hope you will be back everyday for inspiration yourself. I think we are well on our way for this creation. Beautiful flowers, can't wait to see the finished project.